Without the detailed Baker family home, Resi 7's best bad guy wouldn't be nearly as scary. Resident Evil 7 knows that filth is a staple of good horror. Just like Seven, its credits are a series of disorienting shots of old cut-out newspaper articles and photographs, scribbled on by some offscreen creep. 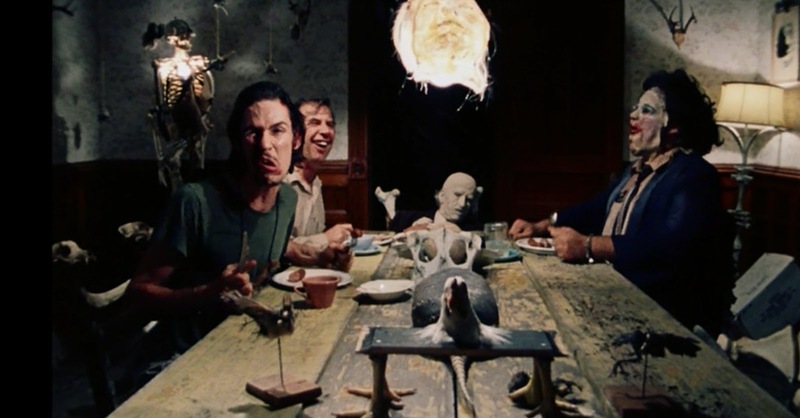 It introduces the Baker family by seating the player at the foot of a dinner table covered with plates full of (likely human) meat, almost completely recreating the composition of The Texas Chain Saw Massacre’s climactic scene. It nods to Saw, too, through a toilet bowl filled with syringes and disgusting rooms that can only be left via grotesque self harm—film has always understood the power of dirt and disorder in creating fear. Anyone who can’t be bothered to take a pile of trash from the kitchen a few steps away to the patio (the Baker’s solution: just shove those suckers into the oven) obviously doesn’t care too much about, well, anything. It’s the subtle discomfort of exploring this setting that makes the chainsaw fights and hide-and-seek chases frightening. Without the dread that comes from spending time amidst the trash and rot of their home, the Bakers—Jack in particular—wouldn’t be nearly as scary. Though out of the way in the Louisiana backwoods, the Baker home is potentially gorgeous—a multi-story plantation house set on a sprawling property with a series of smaller sheds and outbuildings surrounding it. There’s a spacious front hallway with a pair of stairways leading up to a balcony, a greenhouse set up next to docks that run through a patch of Southern bayou, and a well-equipped barn. It seems like a pretty great place to raise a family. If only Jack took better care of the place. As Ethan Winters, one of the first things the player sees after arriving at the Baker’s property is a gnarly, almost palpably stinking meat sculpture. Lifting yet again from The Texas Chain Saw Massacre (in this case, the nightmarish corpse installation featured in the movie’s opening shots), entering the house involves ducking under a bizarre ouroboros of rotting cow legs circled around a horned skull, bits of tattered flesh still spoiling on the bone. It’s evidence of the creator’s madness, sure, but also of their artistic sensibilities. Bob Ross got weird in later seasons. Throughout the Baker house, meat is used not just as food, but as conversation piece and ornament. Before he knows anyone is home, Ethan picks through the kitchen, opening a fridge where loose piles of either intestines, raw snake, or some wretched mix of both are stacked haphazardly on a big sheet of aluminum foil. He lifts the lid of a pot on the family table and a handful of cockroaches come skittering out of a greyish-brown stew, the fat from some mystery creature congealing on the surface. As Ethan continues to poke around the house he finds stacks of unwashed dishes filling rusty sinks, ashtrays overflowing with yellowed cigarette butts, and little clouds of flies buzzing around tables piled with decomposing fruit and, no surprise, yet more spoiled meat. The walls haven’t been painted in what looks like decades. The wooden framework juts out in almost every room, the house’s skeleton showing through the crumbling wallpaper of its skin. An unassuming metal tackle box has nothing stored in it but a few hundred glistening maggots. I wonder if Jack likes to fish. We see that Jack Baker (or “Daddy” if you’re nasty) cuddles up on a crusty bare mattress when he wants a nap—that when he takes a shower he has to kick aside another full garbage bag and watch out for plunging holes in the cracked tile. By the time Jack gets to the business of actually trying to kill Ethan, the player sees him as more than just an old, balding, khaki-wearing jerk out to kill with a spiked hammer or jury-rigged chainsaw scissors. What makes Jack scary is that he, like the rest of the Bakers, is developed as a character through context, not direct exposition. Exploring his house, we see that he was once just a guy who liked playing football and posed for regular old family photos with his wife and two children. The state of the Baker house forces us to fill in the gaps between a stereotypical American dad and the scuzzy creep trying to kill Ethan. Before the game takes (the really unnecessary) steps to explain exactly what caused his transformation, Jack is far more frightening as someone twisted from regular family man into a strange creature who, for reasons we don’t yet understand, is now something else entirely—a bizarre, violent man who lives in filth and is hell-bent on murder. All told, the player doesn’t spend much time with Jack. They see everything that makes up the man, from humble beginnings to the twisted monster he is now, and it’s in attempting to reconcile his humanity with the absolute opposite surroundings that horror takes shape. What is otherwise a goofy dad character model is now a living person with a terrible, impenetrable psychology. And he’s coming this way, hammer in hand, calling out your name. The deranged killer stalking their victim to bash in their head with a spiked hammer, or hang them from a meat hook, evokes basic, instinctual fear. 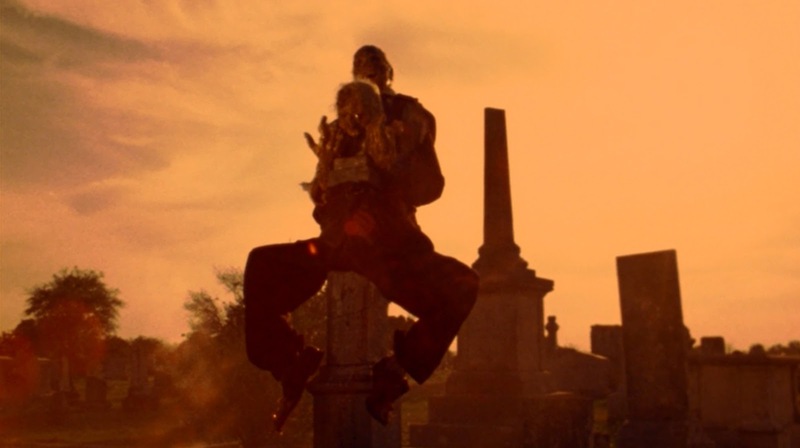 Physical danger is easy horror. Resident Evil 7 wouldn’t be much more than an action game if the Bakers weren’t surrounded by the big, stinking mess they leave behind. It proves this itself towards the end. As the setting shifts from the grotesque Baker house to a wrecked ship and the tunnels of a salt mine, most of the atmosphere is left behind, too. The chipped steel bulkheads and dim, cramped compartments of the ship aren’t pretty, to be fair, but they’re industrial and dull in comparison with the lived-in mansion that came before. The molded enemy creatures that stalk the player as Mia navigates the boat are usually deadlier than the Bakers (especially in its narrow hallways and sharp corners), but there’s no greater context for the threat they pose. They’re just stupid and angry. It’s impossible to imagine the molded doing anything other than slopping their gross bodies around, being stupid and angry at blank walls when there’s nothing for them to kill. Resident Evil 7 is at its best when it wallows in its own filth—when it makes you wonder if Jack Baker has any hobbies besides mutilation, meat sculptures, and binging on rotten food. Walk around checking for items in rooms buzzing with flies, blocked up with knocked-over furniture, walls and doorways filled with pulsating, carcinogenic-looking black gunk, and a deep, discomforting curiosity sets in. This is an ordinary kind of dread, less exciting than bizarre creatures and masked killers, but in exploring a quiet scene dressed in a family's history, Jack's implied journey from average guy to middle-aged dad monster heightens the traditional videogame horror sequence. With every chase scene, we're not just pursued by an angry collection of polygons, we're pursued by a man with a tragic history, a dad fallen from grace that hates doing the damn dishes.